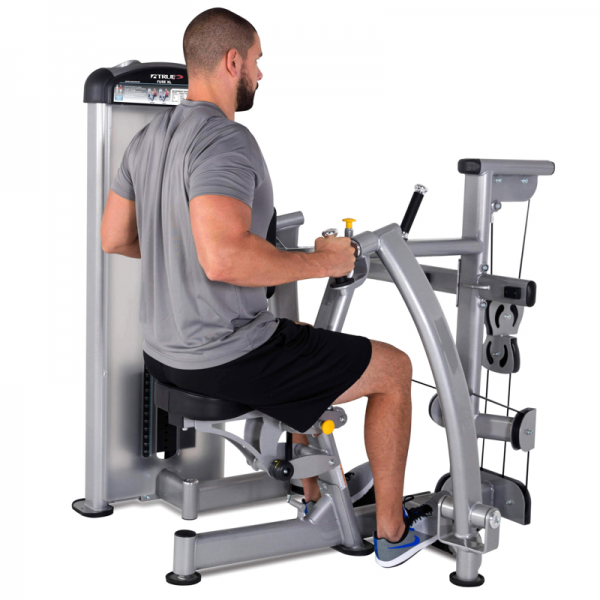 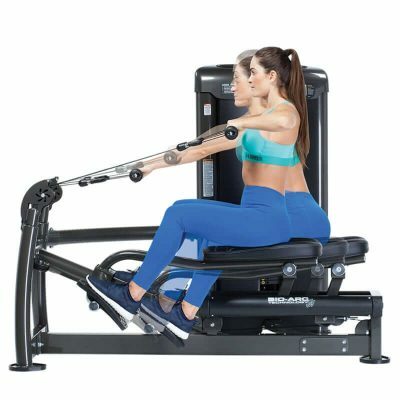 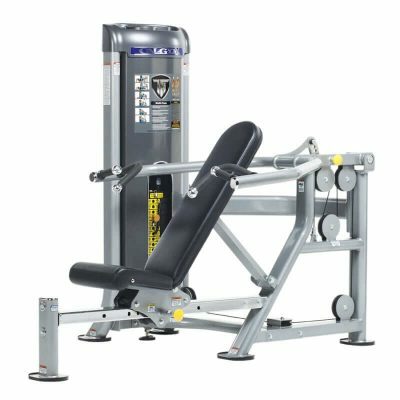 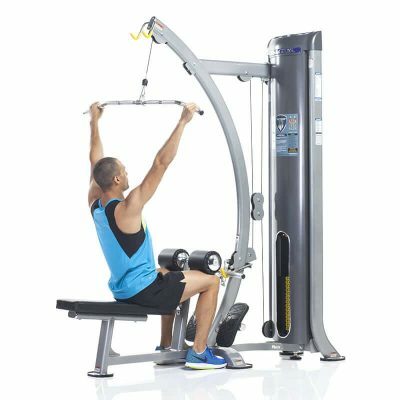 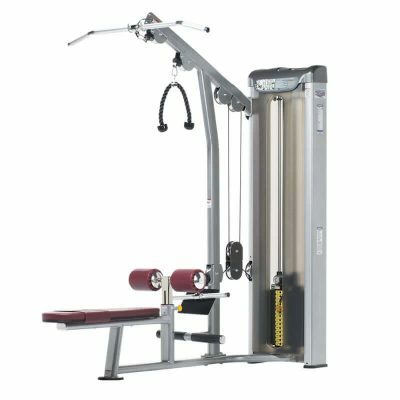 The Paramount FUSE-1200 Seated Row from TRUE Fitness features unique rotating handles combine with independent diverging arms to provide unilateral movement through a complete range of motion for greater muscle recruitment and a more efficient workout. 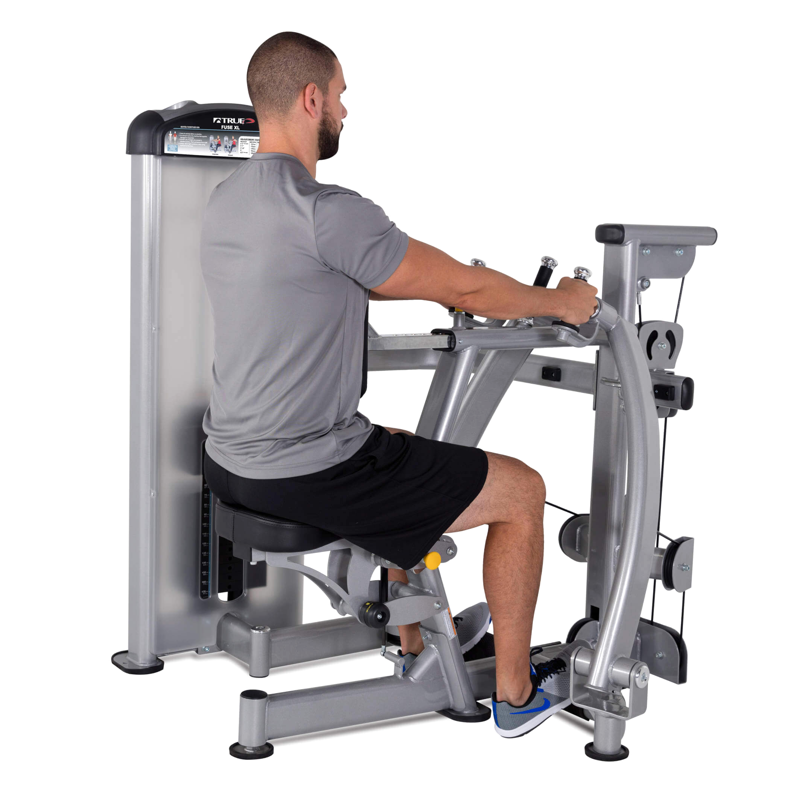 The Paramount FUSE-1200 Seated Row is a modern and comprehensive 16 piece strength conditioning system designed to meet the space, budget, and performance demands of today’s commercial fitness facilities. 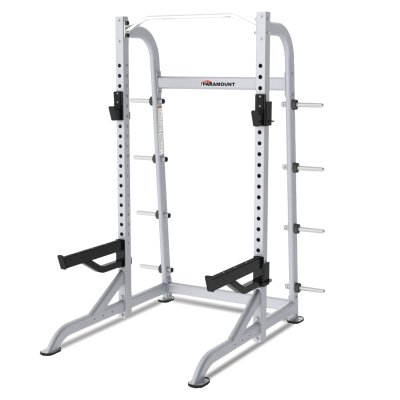 Powder coat finish available in standard silver or white with custom color options. 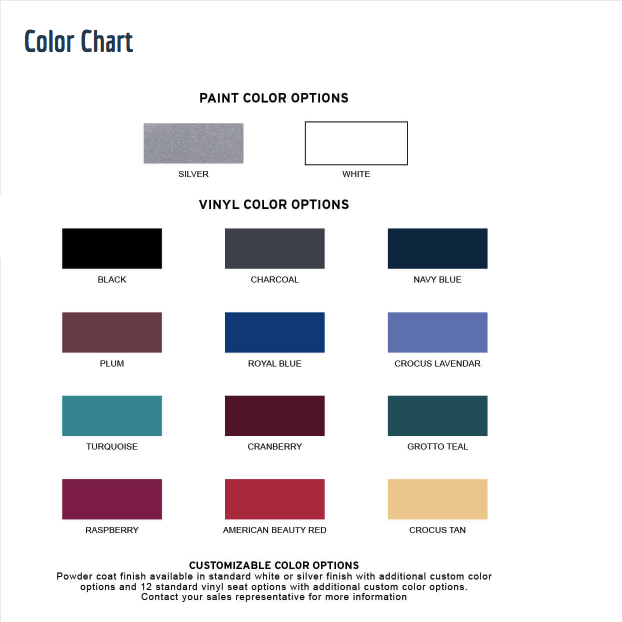 Twelve standard vinyl seat color options with custom colors also available. 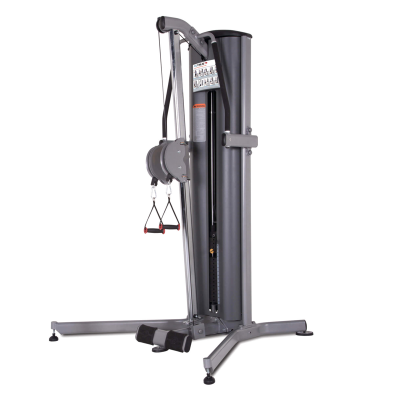 Contact a Fitness Gallery Commercial representative for more information.